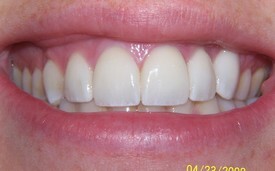 Porcelain veneers can completely reshape your teeth and smile. 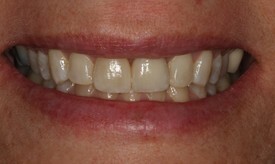 They can often be alternatives to crowns and the ideal solution in treating many dental conditions and creating a beautiful smile. 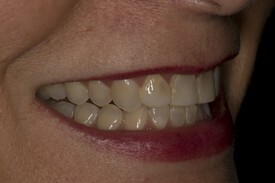 Our doctors will carefully plan treatment based on a patients unique needs and desires. 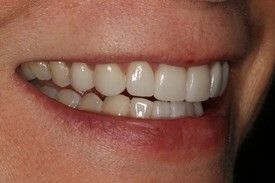 Very thin pieces of durable, tooth shaped porcelain are custom made by a professional dental laboratory using our doctor's detailed direction and models. 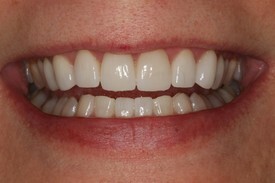 The veneers are then bonded onto the front of teeth to create a beautiful and long lasting smile. 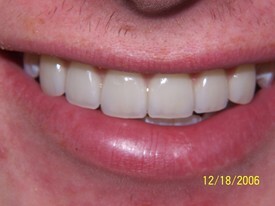 This graduating high school senior wanted to transform his smile prior to leaving for college. 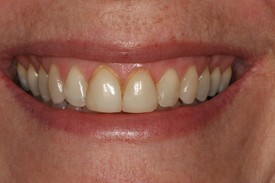 This was accomplished with crown lengthening surgery to lengthen his teeth and porcelain veneers. 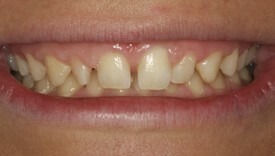 This recent college graduate was unhappy with her worn, chipped upper teeth and missing upper left eye tooth. 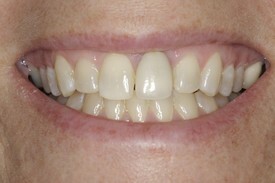 Her smile was dramatically improved by tissue trimming and porcelain veneers. 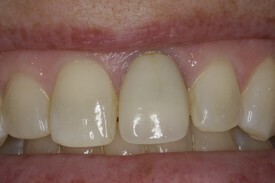 Restoration of a worn dentition in 3 visits with porcelain veneers. 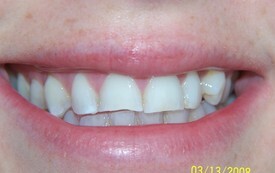 This recent high school graduate wanted to close the spaces between her teeth and have a more mature smile as she headed to college. 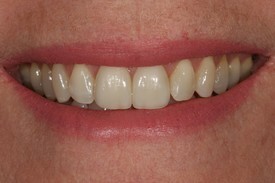 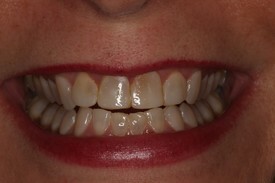 Porcelain veneers were used to create a more appealing smile. 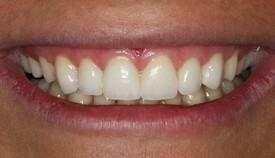 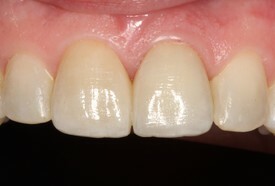 Porcelain veneers used to replace old bonding. 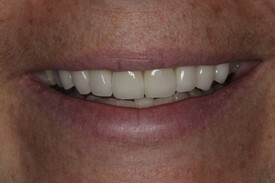 Replacement of 2 previously placed porcelain veneers. 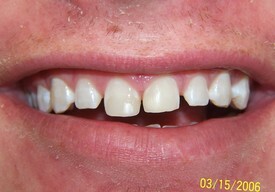 Front tooth required extraction due to a root fracture. 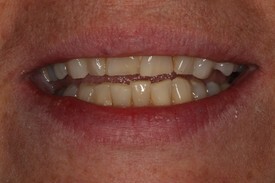 It was replaced with a dental implant and the space between the front teeth was closed with a porcelain veneer on the other front tooth.